The Blood Moon @ Melbourne, VIC, Australia. 14-04-2014. 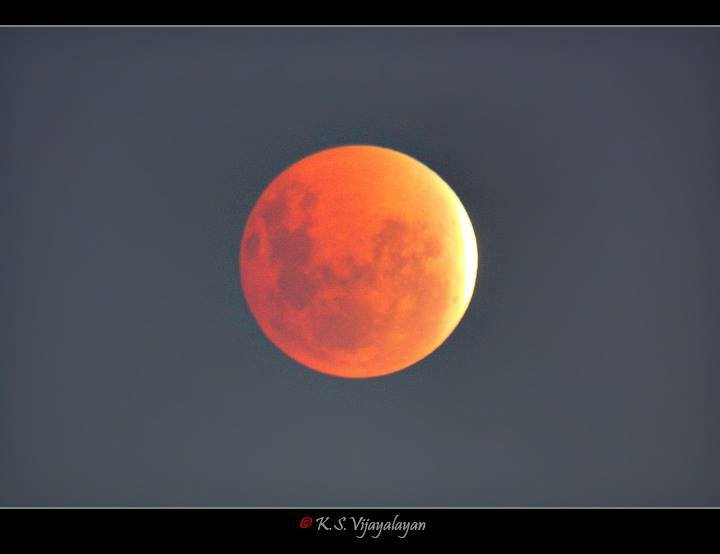 Sometimes full lunar eclipse is followed by red coloured moon due to refraction property of red coloured light and the Earth's atmospheric conditions.